Big name PC repair shops don't need any more bad publicity, but they're getting it anyway courtesy of a pretty embarrassing SNAFU by CompUSA. Here's what happened. 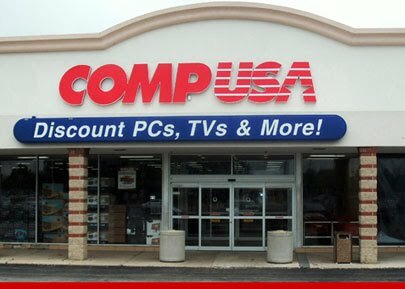 According to CBS News in Chicago, a woman named Kymberli Mulford entrusted the CompUSA in Hoffman Estates with removing a nasty virus on her system that she believed was causing it to shut down. Around the same time, Karen Davis took her PC in to th same store for repairs. CompUSA purportedly took care of both issues, but they also installed Mulford's files on Davis's PC. Oops! "It was everything, pictures of her kids, notes, and emails," Davis said. "Even what meds her kids were taking, just very personal stuff." Davis did the right thing by getting in touch with Mulford to tell her what happened, but now Mulford fears her data could have been loaded onto other machines too. "All of that information is a gold mine for thieves," said Roger Safian, a computer security expert. "They back up all the data first, then they re-install it after they remove the virus, and that could be how they ended up making this mistake. They re-installed one person's data to the other person's machine." According to CompUSA, the tech and his supervisor were fired because of the incident. 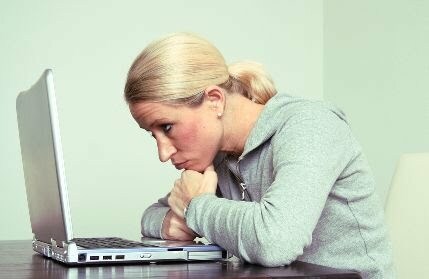 Spyware refers to programs that use your Internet connection to send information from your personal computer to some other computer, normally without your knowledge or permission. Most often this information is a record of your ongoing browsing habits, downloads, or it could be more personal data like your name and address. Different strains of spyware perform different functions. Some might also hijack your browser to take you to an unexpected site, cause your computer to dial expensive 900 numbers, replace the Home page setting in your browser with another site, or serve you personal ads, even when you're offline. Spyware that serves personalized advertisements is called adware also known as malware or scumware. Some programs that have included spyware, like RealPlayer, disclose this information in their terms and conditions when RealPlayer is installed, though most users don't read the terms and conditions when they install software, particularly if it is free. KaZaA, a free file sharing program, also includes spyware and there are many others. But spyware doesn't have to come bundled with another application to find its way on to your computer. In fact most spyware is installed surreptitiously. You might visit a website that pops up a window informing you the site won't display correctly unless you allow it to install a file or plug-in. Answering yes to a prompt that you don't understand can allow spyware to be loaded. You might also agree to load a program that, unbeknownst to you, has spyware code included. The concern with spyware, whether its presence is disclosed or not, and the reason it is universally reviled by so many, is that the user cannot verify or monitor what is actually being gathered and sent from their computer. There is no built-in mechanism for the user to oversee the process and no checks-and-balances in place, legally or otherwise to ensure the security of, or confirm just how the information is being used. Spyware is virtually unregulated. Add to this unfavorable scenario the fact that spyware uses personal resources: your bandwidth, processing power, and memory, to perform work for an outside entity at the expense of your privacy. Still, some spyware programs like RealPlayer and KaZaA are very popular. It is estimated that 90% of all computers on the Internet are infected with spyware. Your computer slows to a crawl due to several spyware programs using up your memory resources. Advertisements pop up even when you are offline. You click on a link to go to one site, but your browser gets hijacked and you end up at another site. Your computer is dialing up numbers on its own that show up on your phone bill. When you enter a search item, a new and unexpected site handles the search. Your bookmarks change on their own. You click your Home button but it takes you to a new site, and when you switch the setting back, the new site appears again anyway. You get pop-up ads that address you by name even when you have not visited site at which you have registered.